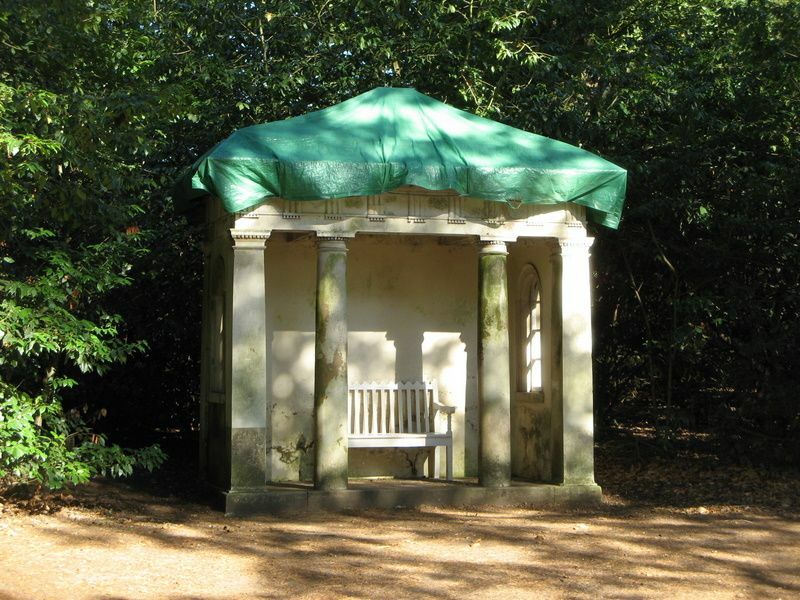 Garden temple in the form of a Roman Doric distyle portico. light. Coffered ceiling with domed central bay.